Money and Power Matter. Family Structure, Not So Much. The Moynihan Report, published in March of 1965. New York Times columnist Nicholas Kristof thinks “Liberals Blew It” by excoriating this report. His conclusion, however, is based on a fundamental misunderstanding of the document’s critiques. 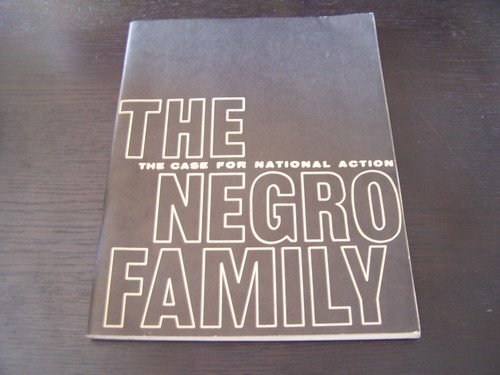 The Moynihan Report’s faults lie not with its assertion that family stability is desirable, nor with its documentation of an increase in single-parent households, but with its insistence that family structure and Black “pathology” are primary drivers of poverty and inequality. This privilege-defending and inaccurate cultural narrative, however it was intended, implies that poor people of color are to blame for the effects of institutional racism and classism and diverts attention away from the real causes of inequity. Those who denounced the Moynihan Report for that reason didn’t “blow it;” in fact, they presciently predicted how the report would be used to justify the false claim that “lifestyle issues” are the root cause of poverty. The real mistake is made not by people who recognize that connecting all types of families to money, basic necessities, and power is the best way to help them overcome hardship, but by those who continue to lend credence to the idea that the decline of traditional families has drastic consequences. The lone piece of evidence Kristof cites in support of his claim that single-parent households lead to poor outcomes for low-income children is “an essay by Sara McLanahan of Princeton and Christopher Jencks of Harvard” in the March issue of EducationNext. While Kristof correctly notes that McLanahan and Jencks suggest that “growing up with just one biological parent reduces the chance that a child will graduate from high school by 40 percent,” he fails to discuss the broader context that calls his thesis into question. The absence of one’s biological father has not been shown to affect a child’s verbal and math test scores…The evidence for other indicators of educational performance, such as high school grades, skipping school, and college aspirations, is mixed, with some studies finding that father absence lowers school attendance and aspirations and others finding no effect. In fact, Kristof’s suggestion that the rise in single-parent households is a major driver of poverty and inequality is incompatible with some key details. For instance, while poverty levels in the United States remain far too high, they have fallen significantly over the past 50 years, in large part due to the safety net. If family structure were, as Moynihan contended, “the principal source of most of the aberrant, inadequate, or antisocial behavior that did not establish, but now serves to perpetuate the cycle of poverty and deprivation” (a contention that highlights the absurdity of Kristof’s argument that “liberal denunciations of Moynihan were terribly unfair”), this reduction in poverty would not have happened, as the number of “nontraditional” families has exploded during this time period. Third, and most significantly, little research explores more plausible causal explanations for the relationship between economic and social disadvantage and family structure. It may very well be the case that the hardships associated with poverty make traditional families less likely, or that many of the factors that contribute to poverty and inequality also disrupt family stability. Relatedly, as Jared Bernstein pointed out last year, “policy interventions to encourage marriage have been shown to be quite ineffective” (and costly; as Bernstein also noted, “[t]wo pilot programs introduced in the George W. Bush years cost $10,000 per couple”). Wanting children to grow up in stable households is of course a laudable goal, but the evidence indicates that achieving household stability is not about culture, preferences, or a particular type of family structure. Instead, it is about a broad social justice agenda that addresses economic and social barriers to equality. On some level, Kristof recognizes that direct means of addressing economic and social disadvantage should be the focus of anyone interested in “helping American kids.” He correctly decries how our racially- and economically-biased system of mass incarceration has torn families apart, and he also appropriately advocates that we “support programs to boost the economic prospects for poorer families.” Criminal justice reforms, safety net programs like SNAP (food stamps), the Earned Income Tax Credit (EITC), and Medicaid, and pretax income-boosting policies like the minimum wage and elements of the full employment agenda will likely promote family stability, and, more importantly, they are a sampling of some of the best methods we have to reduce poverty and inequality directly. To the extent that Kristof is advocating for this set of ideas, he is absolutely right to do so. But the general thrust of Kristof’s piece, like the narrative in the Moynihan Report before it, undermines the fights for racial and class equality. In the future, the report’s defenders would do better to stop castigating the activists who disagree with them and start listening to and reflecting on advocates’ legitimate concerns. *Fremstad and Boteach also note that “McClanahan’s review and much of the existing research do not clearly distinguish between the effect of family structure per se and the effect of family instability,” a clarification consistent with Kristof’s correct observation that children raised by loving gay parents do very well. Note: A version of this post appeared on The Huffington Post on March 20.